Is a Speeding Ticket a Misdemeanor? Yes, all motor vehicle crimes in Georgia are misdemeanors. Therefore, fighting a Georgia speeding ticket is important to many Georgia residents, as well as non-residents passing through our state. The addition of a new and additional “fine” for people already convicted of certain high-speed speeding tickets has made Georgia law even worse, and justifies hiring a traffic ticket lawyer for those being categorized as super speeders. Georgia was the first state in the USA to have a “super speeder” law. In 2009, then-Gov. Sonny Perdue pitched this revenue-generation idea to the Legislature, claiming that the additional proceeds from speeding ticket offenders who ignore posted speed limits could help trauma care in rural areas. The Georgia Code section is OCGA 40-6-189. Because no “mandate” exists to dedicate these funds from high-speed drivers’ speeding tickets for use in funding rural health care, the money is mostly used to pay costs of state government in Georgia. The super speeder ticket GA law is just another example of saddling an undesirable category of citizens, with the costs of running the Government. The effective date for HB 160 (Act 135, §11) was January 1, 2010. See the initial news story posted by GOHS to laud the supposed rural hospital benefits. What Is a Super Speeder in GA? Any driver who gets convicted of speeding at high speeds will be in violation of the super speeder ticket in Georgia. Specifically, traveling at 75 mph or more on any two-lane road in GA, or at 85 mph or higher on ANY roadway, such as I-85, I-75, I-20, GA Highway 400, or similar limited access roads. Simply stated, the new law tacks on an additional state assessment of $200 for any traffic ticket conviction or nolo contendere plea where the speed reported to Georgia DDS (the GA DMV) on the traffic citation, on a 2-lane highway or road, was speeding at 75 mph or more. For multi-lane highways, the speed that triggers Georgia super speeder law is 85 miles per hour or more. The trap for the unwary lead-footed motorist is that he or she will either go to traffic court and resolve the speeding ticket, or possibly pay the ticket online or by mail, and waive his or her court appearance. But this court procedure merely settles the misdemeanor traffic ticket offense. That speeding ticket case disposition, however, is what authorizes Georgia to NOW add on the tax designed to make super speeders help pay for Georgia’s government functions. Can You Get Arrested for Speeding in Georgia? Yes, if you are going very fast in Georgia, you can. Since reckless driving GA under OCGA 40-6-390 is categorized as a serious driving offense, if this is also charged, an arrest is possible. Plus, committing multiple dangerous driving acts (e.g., following too closely, changing lanes without signaling) can possibly trigger an aggressive driving charge, under OCGA 40-6-397. Can I Go to Jail on a Super Speeder GA Ticket? The new speeding tax law does not (in and of itself) cause license suspension, or add speeding ticket points, or send you to jail. The super speeder law in Georgia a straightforward “strong arm” law for collecting more tax money. At risk, if the tax is not timely paid, is your right to drive, plus an additional fine (late fee) of $50, if you don’t pay the GA super speeder tax on time. Indirectly, the failure to pay the tax can do more than cause license suspension, since a failure to pay triggers Georgia DDS to suspend your right to drive, and if caught driving while suspended, you go immediately to jail. This method of “veiled taxation” allows the Legislators to “not raise taxes” on all citizens, and to thereby curry favor with voters. However, the strategy of collecting millions of dollars, by virtue of the power of BEING the government does not seem to be flawed, since the people who passed the Legislation get re-elected each new election. Super speeder law is a pure money grab and has irritated every driver who (after paying fines and surcharges at traffic court on their traffic ticket criminal case, under Georgia speeding laws) receives another bill from Georgia, in the U S Mail. The State of Georgia demands another payment of $200 to DDS Georgia. How Is Notice of a Super Speeder Georgia Assessment Made? 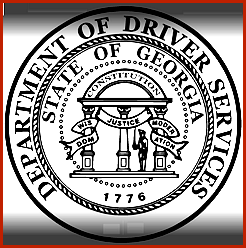 The Georgia Department of Driver Safety (Georgia DDS) mails out a super speeder notification requesting the driver to pay another $200 or lose driving privileges. It is not sent by certified mail, or with a tracking method, to prove delivery. So, make sure that any address given to police, after you get a high mph speeding ticket, is your correct address. If the use of a credit card online is unappealing or too daunting, a person can download a PDF credit card form, and fill that out to make payment of the super speeder GA fee. To make certain that your payment gets matched to your driving record, enclose a copy of your final criminal court disposition paperwork or your name, address, and birth date. For out of state drivers, include your state of licensure, and the state of issuance. Go to the DDS Georgia website: www.dds.ga.gov. Speeding in Georgia? Speeding is a misdemeanor, NOT a traffic infraction. Learn your legal rights, your options to fight or negotiate, and your potential penalties. Don’t just go to Court alone and expect the case to be continued. In almost all Georgia traffic courts, our traffic lawyers can get a Power of Attorney from you and keep you from having to appear at all. Our award-winning traffic ticket lawyers, William C. Head, Larry Kohn and Cory Yager, have a statewide network of expert traffic ticket lawyers, and can refer you to a specialist, if your case is outside the metro Atlanta area. Call our 24-hour Georgia lawyers for a FREE lawyer consultation. 404-567-5515.